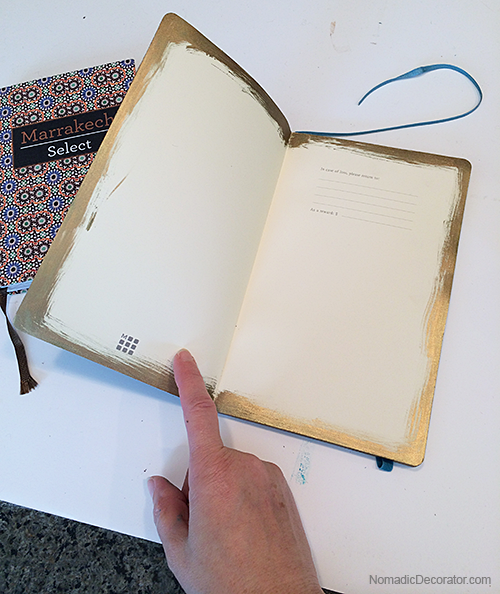 Now a travel journal doesn’t have to be a Moleskine. You can do this is to any kind of a journal book. 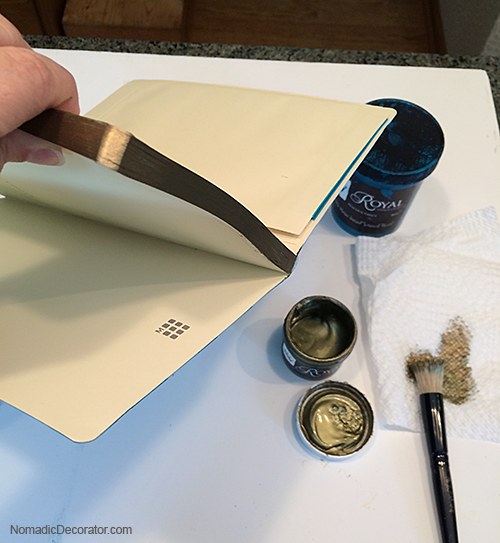 If the journal has a smooth cover, it’s easier to paint. 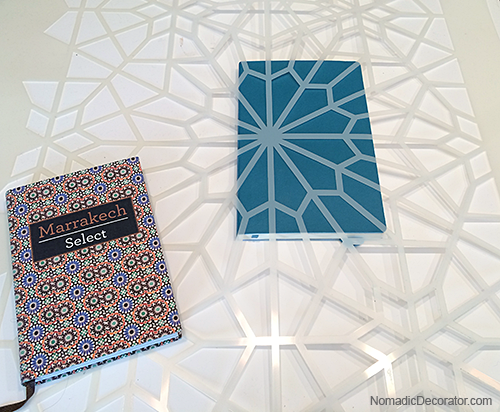 I happened to be at a Barnes & Noble buying this “Marrakech Select” book and saw the blue Moleskine, and the blue made me think of Moroccan tiles, and it looked good with the Marrakech book. And there you go. Money flying out my pocket. 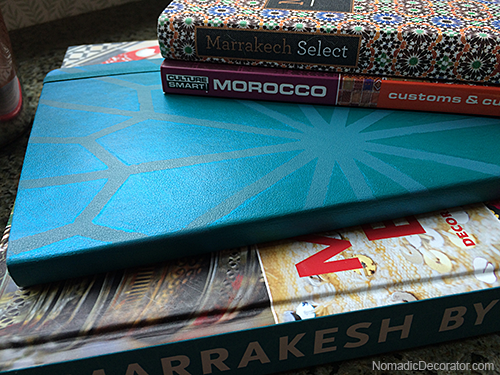 I’m filling this journal with notes for a trip to Morocco in November. 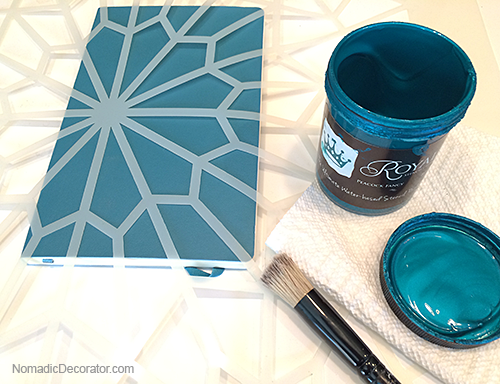 So the Starry Moroccan Night stencil from Royal Design Studio was perfect for its cover. 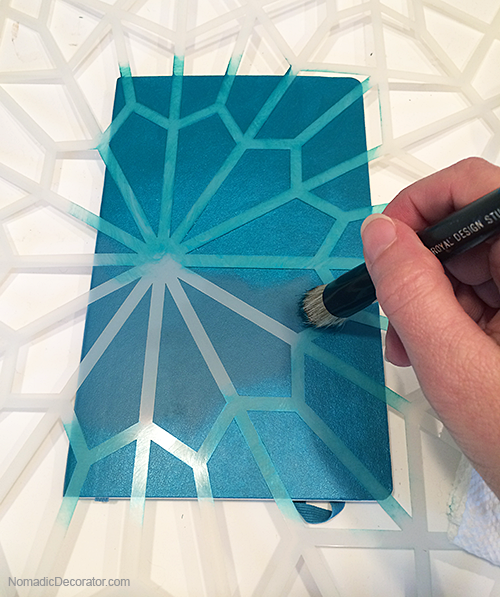 TIP: If you have big wall stencils, you don’t have to paint them only on big things! Maybe you have a wall stencil sitting around after painting a wall, and you’re not sure what to do with it now? 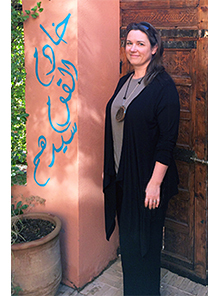 You can use a small part of the stencil, creatively positioned, on anything, really. I’ve used big wall stencils to paint patterns on small Christmas ornaments. As you can see here for this journal cover, I used only a small part of the Starry Night stencil. That’s okay! 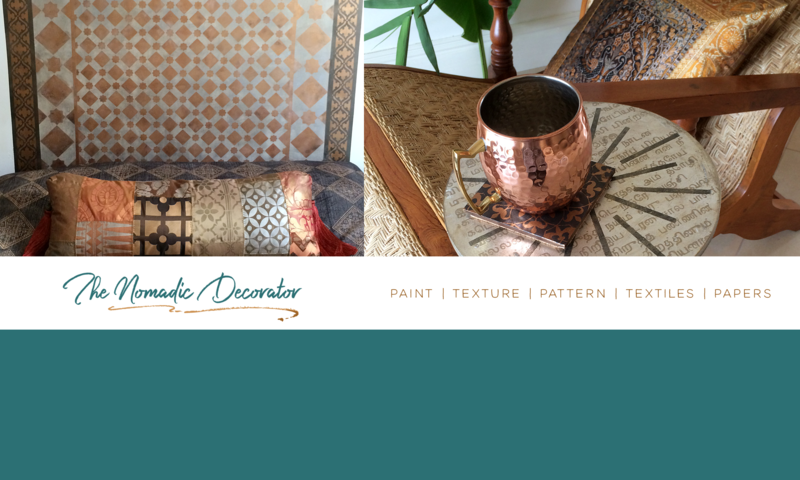 The paint is Peacock Fancy Stencil Creme, a paint made for stenciling by Royal Design Studio. 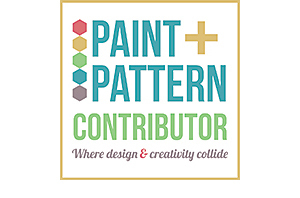 I’m a contributor to their online design magazine, Paint and Pattern, so I use a lot of their products and love how every project turns out, even when I’m trying something for the first time. 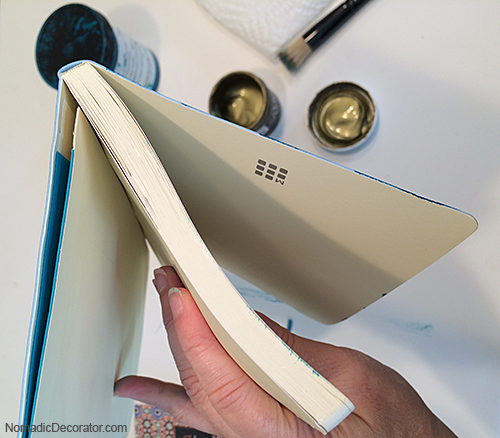 The paint has a shimmery sheen and it really dresses up the Moleskine. I love the sophisticated blue on blue. Once I gathered the supplies from around the house, this took 2 minutes to set up and paint! So super fast and easy. 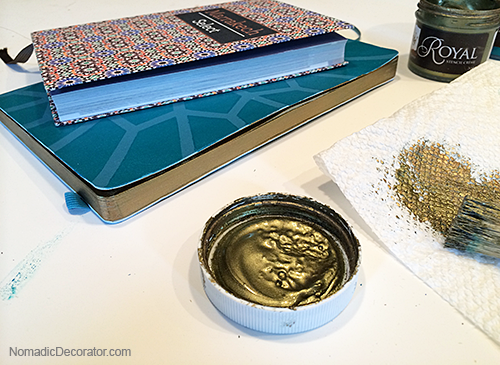 Then I decided to paint the edges of the paper gold. It took longer to find the gold paint than to actually paint the paper. I just ran a brush along the edges of the paper, while holding the covers away so I didn’t slop gold paint on the covers. Some paint did get on the inside front and back pages. That looked like a mistake. So I ran lines of paint real casually and feathery along all the edges so it all looks intentional. 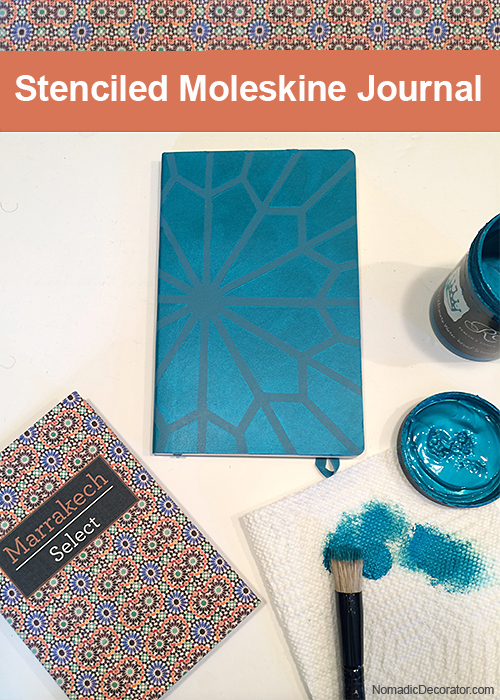 The Moroccan trip is a “Paint & Play” retreat with Melanie of Royal Design Studio and about 10 other people interested in travel and painting, so a painted journal seemed perfect to prep for the trip! PinkWhen DIY Sunday Showcase | SNAP!